Home / Automotive / Cars / The 2020 Subaru Legacy Is Getting A Turbocharger... Again! Subaru redesigns its midsize sedan by adding new technology and a chunk of extra power. There seems to be more than just a game of catch-up when it comes to Subaru's addition of a large touchscreen display to its new Legacy. In fact, their North American president, Tom Doll, says their goal is to reduce driver distraction by making the buttons larger and easier to see. Which, let's be honest, sounds legit, although the proof will be in the pudding. 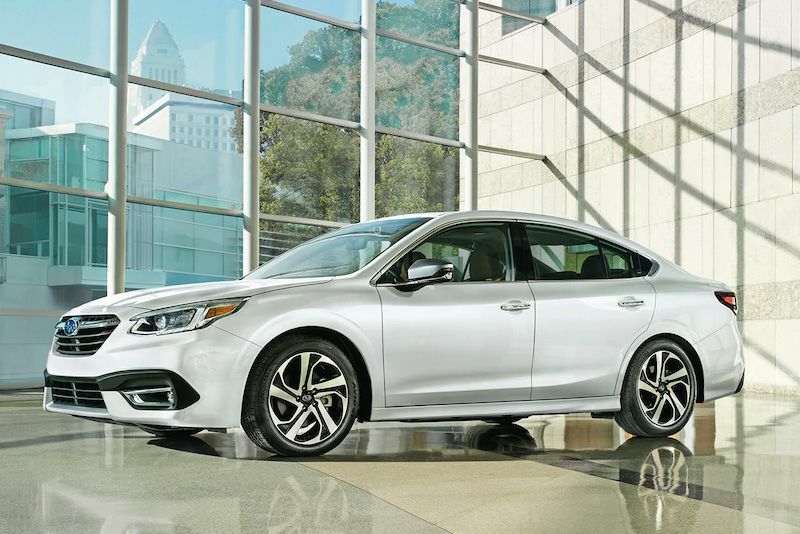 The first thing that needs to be made clear from the offset is that, as much as the design appears to be a simple refresh, the 2020 Subaru Legacy has received a complete makeover under its evolved skin. it is, actually, the newest member of the family to receive Subaru's global platform, including the latest technological features offered by the legendary Japanese firm – not to mention the 'optional' engine that could be a Subaru game-changer. We're talking about their 2.4-litre turbo flat-four motor, that pumps out 260hp, which replaces the 3.6-litre flat-six that has done years of service for the brand. The Subaru's CVT is the only option available to transfer the engine's power to the wheels but, although it's the same unit that does service in the Legacy XT, it produces 32 per cent less horsepower due to the lower-viscosity oil used. Considering the reduction in capacity, it's no surprise Subaru claims a significant reduction in fuel consumption to the outgoing powerplant, suggesting the new unit will achieve 27-to-35 mpg in mixed-use driving. Other benefits of Subaru's latest platform is a 13 per cent increase in strength from the steel fabrication, and weight losses achieved with the use of new structural adhesives and lightweight foam material filling the floor crossmember. The centre of gravity has been reduced along with improved body rigidity, and the new suspension setup, including control arms in the rear and active torque vectoring, bodes well for the revised all-wheel-drive system that's standard across the range. Onboard the latest Subaru Legacy, the new 7.0-inch Subaru Starlink touchscreen interface offers Apple CarPlay and Android Auto compatibility, as well as a rearview camera. Tick the options list and clients will receive an 11.6-inch touchscreen with Tom-Tom navigation and NFC functionality with split-screen capability on the Premium, Sport, and Limited trims. The Touring grade receives all this plus a 12-speaker Harman Kardon audio system as standard as it flies the flag as the range-topping Legacy model. It also receives Nappa leather upholstery, ventilated front seats, and heated rear seats. Ultimately, this vehicle needs to impress the way the Subaru's of the late 1990s did, otherwise it'll be another generation of fans lost to mediocrity. And how does a brand survive if it only lives on its legacy?